It's been reported that on May 2, the day that his religious cult controversy broke out, singer/composer J.Y. Park was spotted attending his public schedules as planned without paying mind to others. J.Y. Park is part of a celebrity basketball team called 'Avengers'. 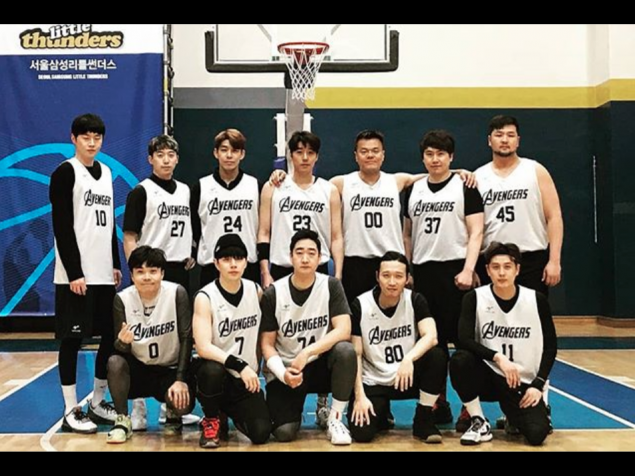 On May 2, the 'Avengers' played a 'Korean Celebrity Basketball League Competition - Miracle Rebound', sponsored by NGO 'Good People' and 'SOOM', against another celebrity basketball team - 'Rainbow Stars'. After the game, actor Kim Ji Suk shared a photo of his teammates to celebrate the 'Avengers' team's victory on May 2. Pictured below in the 'Avengers' team are J.Y. Park, Kim Ji Suk, as well as Kim Tae Woo, Jung Yi Han, Mose, Ji In Ho, Jung Yoon Ho, Song Tae Yoon, Joo Min Woo, Lee Jong Hwan, Jung Geun, U-KISS's Hoon, Kim Sa Kwon, and more. 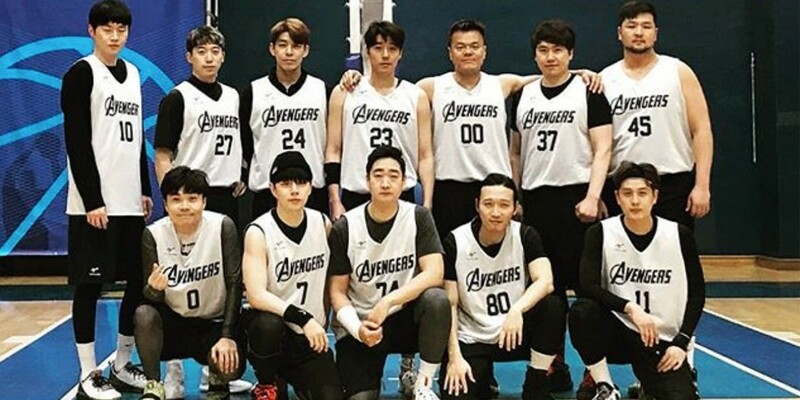 Other active members of the celebrity basketball team 'Avengers' include SHINee's Minho, Kim Ki Bang, and more. Currently, J.Y. Park's firm stance on the religious cult controversy is that he is not affiliated with the cult 'Salvation Sect' nor any of its members.